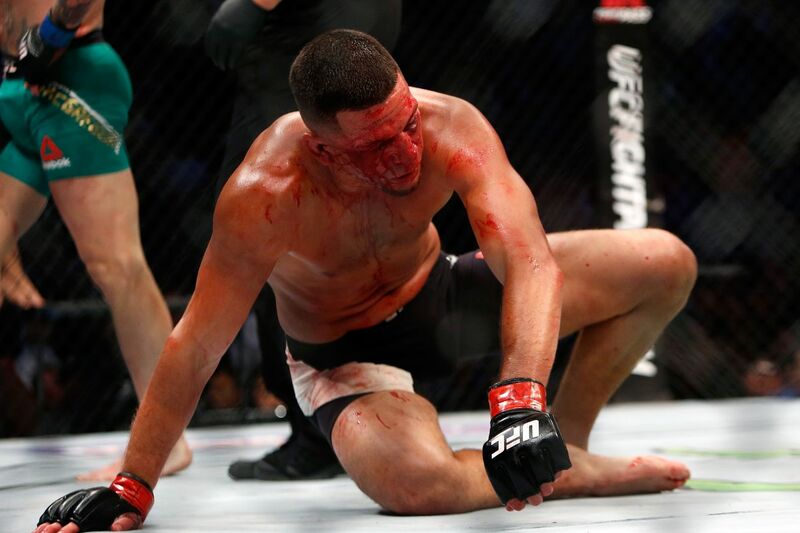 A lot of mixed martial arts (MMA) fans were upset when Conor McGregor was announced as the majority decision winner over Nate Diaz at the conclusion of their welterweight rematch (video), which took place in the UFC 202 pay-per-view (PPV) main event last Sat. night (Aug. 20, 2016) inside T-Mobile Arena in Las Vegas, Nevada. Perhaps none more so than “Sin City” resident Ulysses Liaina. The 25-year-old fight fan, clearly siding with the Stockton slugger, was so miffed at the judges’ decision (see the scorecards here) that he whipped out his Ruger 9mm and started firing into the air at the Flying J Truck Stop. The good news is, nobody was hurt. “Witnesses and friends all said he just pointed it straight up in the air. And so he wasn’t aiming at anybody, it was apparently his method of venting,” Joplin Police Captain Bob Higginbotham told News Talk KZRG. Liaina was arrested for unlawful use of a weapon. The number of PPV buys UFC 202 was able to generate will go a long way in determining if and when UFC books a McGregor vs. Diaz rubber match. If so, please watch responsibly and save your gunplay for something more important, like the upcoming zombie apocalypse. For much more on UFC 202 click here.